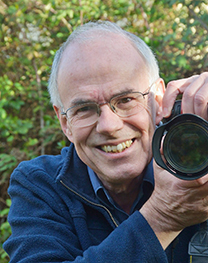 Jim Asher has a lifelong passion for butterflies and the landscapes they inhabit, and has travelled extensively in UK, to various parts of Europe and beyond, recording, identifying and photographing butterflies and other wildlife. He is a keen conservationist and runs work parties in UK aimed at improving habitat for butterflies. Jim is also involved in monitoring their changing abundance and distributions reflecting environmental changes. He has written and contributed to several books on butterflies, has given many talks on butterflies and has led field trips. Jim is currently Chairman and Trustee of Butterfly Conservation (until November 2018), an organisation he has been an active member of since 1981.